In near whiteout condtions these group of spruce trees near Dream Lake weather a late winter storm. 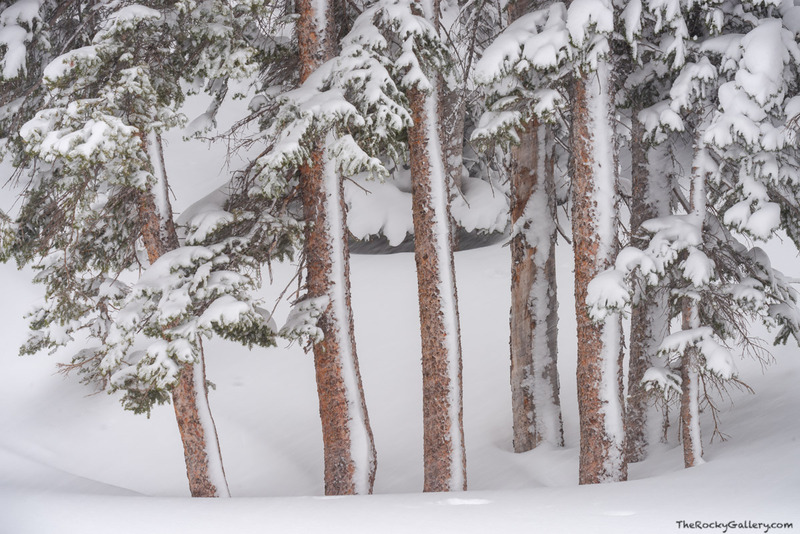 The March snowstorm has piled the snow over Rocky Mountain National Park and the trunks of these spruce trees are burried under a few feet of snow with more on the way. Photo © copyright by Thomas Mangan.